Iain A Simpson MD, FRCP (Glas), FRCP (Lond), FACC, FESC. 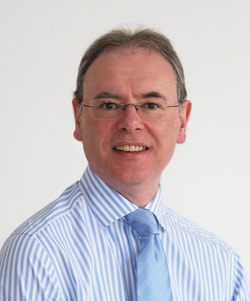 Qualified in medicine from the University of Glasgow in 1980, Dr. Simpson has been a Consultant Cardiologist at the Wessex Regional Cardiac Centre, Southampton University Hospitals Trust since 1992. A specialist in interventional cardiology, valve disease and cardiac imaging, he is past President of the British Cardiovascular Society and was previously Divisional Clinical Director for Specialist Services at Southampton University Hospitals Trust as well as Commissioning Editor for the international cardiovascular journal, Heart. One of the founding Partners of Wessex Cardiology, he has an expertise in all aspects of modern cardiology. A previous British-American Research Fellow with the British Heart Foundation and American Heart Association working in San Diego, California, USA, he has published or contributed to over 20 textbooks in Cardiology, and has over a 100 full publications in various areas of cardiovascular research. He is married, has two children and is a keen but infrequent golfer.